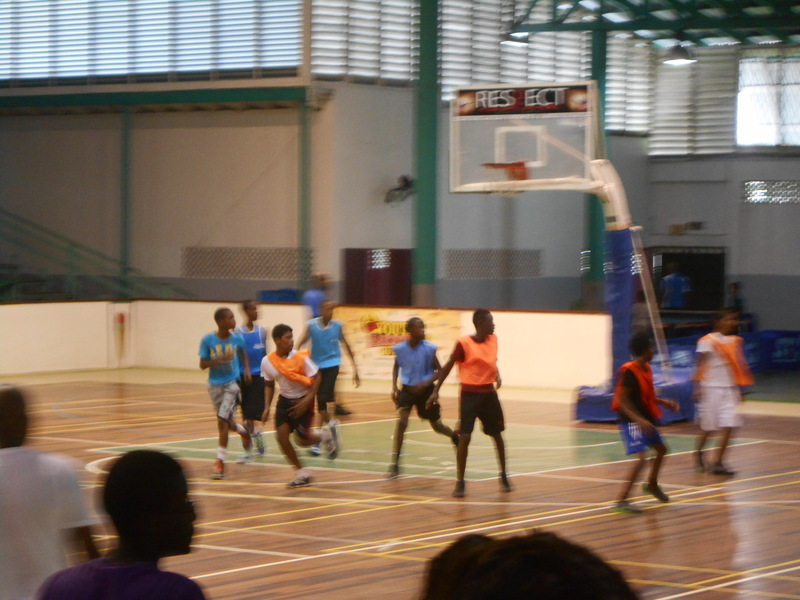 Yesterday afternoon I went to a basketball game that four of the boys from the orphanage were playing in. This was the first opportunity I’ve had to go watch them play, but it didn’t turn out to be quite the experience I was expecting it to be. I shouldn’t be surprised at this point when things don’t go the way I think they will these days. 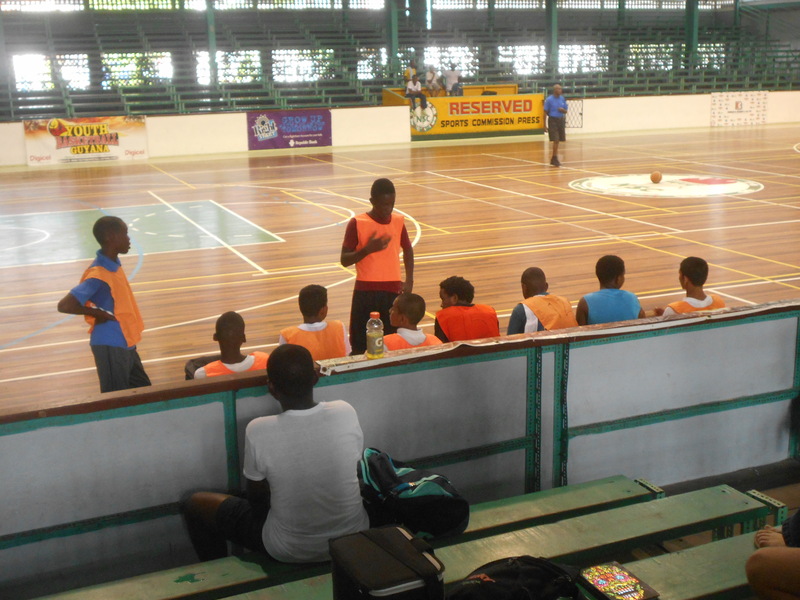 The game took place in a large gymnasium on the outskirts of GT. I was certain the venue would be outside, so I came equipped with sunscreen, a hat, shades, and an umbrella. It turns out the venue was also ridiculously well ventilated, so it wasn’t even hot sitting in the big gym. The issue was that I arrived at 3pm when the game was scheduled to begin and then it didn’t start until after 4pm. This wasn’t too much of an issue, it was a neat experience to be in the large venue, even if I was just watching kids warm up for their upcoming game. The four boys I went to go see play were all warming up outside and then eventually made their way indoors. When the game finally did begin, I realized pretty quickly that the team the boys were on was not in the best situation. They didn’t have a coach. Not to mention, their game of choice is football, not basketball. The end result was a score of 6 to 44. None of the boys I went to see play scored a basket the whole time I was there. That, obviously, isn’t the point though. It was fun just to watch them play, although I did notice they would look up to the bleachers for reactions out of me when they messed up on the court. Brian, one of the boys, told me after the game that he’s not used to being watched — they never have an audience. They take the bus to the gym, play their game, and then take the bus home. They never have anyone in the stands to cheer them on. I was sad to see how mortified they were by their loss once the game concluded. All I could do was tell them they did a good job and shrug it off; what more is there to say? I did feel for them though, they seemed so crushed to have lost. I’m tired of boys from Bosco having to experience loss. 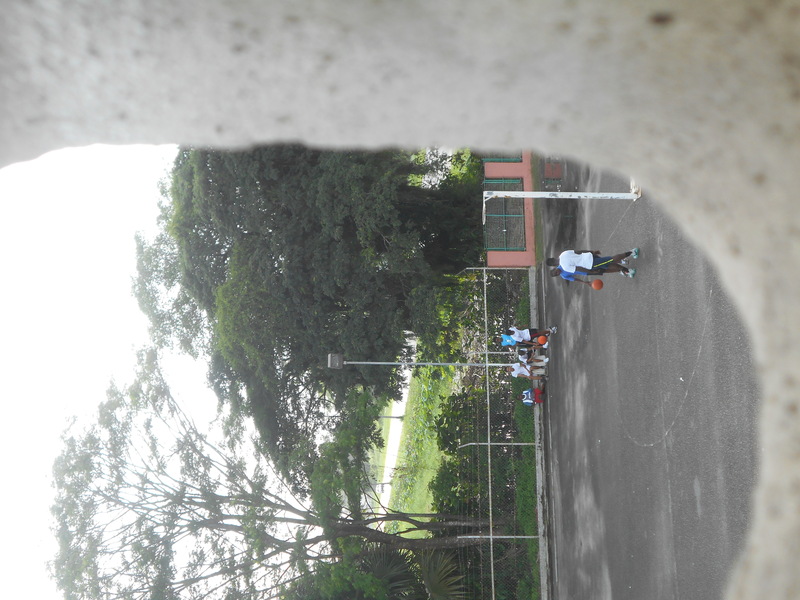 This entry was posted in Guyana, South America and tagged basketball, boys, game, Guyana. Bookmark the permalink. That is sad – but at least they tried. That show spirit.